Brian Keene is probably best known for giving zombies in books a new breath of life. 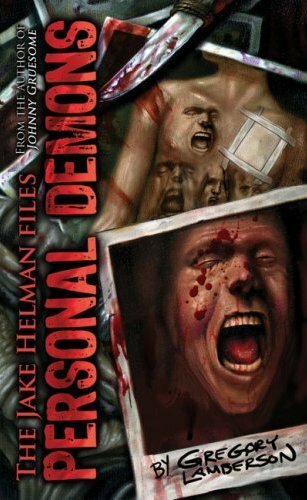 One of the hardest working authors in modern Horror, Keene can also be called prolific - even considering the fact that his first Mass Market Paperback came out in 2004 - and he's only been on the scene since 1997. According to an interview with DF_Underground, as of this writing Keene has 10 more projects on the go and doesn't show any signs of slowing down. 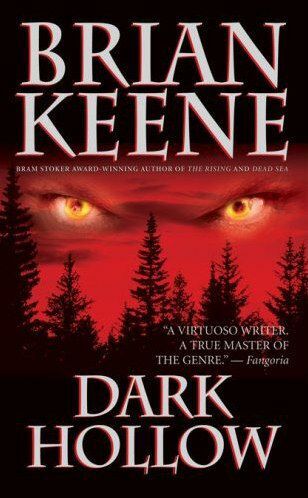 In Dark Hollow, his 6th book for Leisure books, Keene goes much further into the unknown, sinking his teeth into your heart in a different way. This time he brings it to a more personal, somewhat semi-autobiographical level. Adam Senft, a Mystery writer who lives in a little town with his wife and dog "Big Steve", is plagued by the bad memories of his wife's two miscarriages and the steady decline of their marital relationship. While on a walk through the local woods, he stumbles upon a very strange sight: one of his female neighbors fellating what seems to be a large statue of a Satyr. While watching this weird scene, the Satyr comes to life, throwing everything he knows into disarray. Soon some of the women from Senft's small town go missing - summoned by the mystical sounds of the Satyr's pipes. When Adam gets a group of men together to trek into the forest and save the women, they uncover a supernatural evil bent on entering our world and spreading it's seed. First of all, I feel I have to say something about the huge pink elephant sitting here in the room with us. Who writes about evil Satyrs? Nobody. That takes balls to pull off, and Keene does it with panache, as the whole feel of the story is dark and oppressive. Written in first person, Keene doesn't give the reader a choice by to feel Senft's inner turmoil while he quarrels with his (in)ability to procreate, and ultimately with the loss of power he feels during that time. That's basically what this book is about: The feeling that is accompanied with the loss of power to something stronger than you. And this Keene doles out mightily. 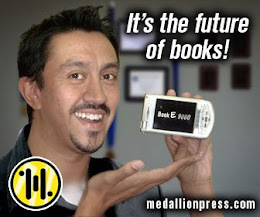 Now, given my praise for the book, there were a lot of people who really didn't like it. Here is one example. While not well written, and obviously as a slight to the author in question, the comments alone make it worth reading. Truly hilarious. Also, Dark Hollow has been optioned and will become a film. News is pretty scant on the movie, but here are a few links to check out if you're interested. Imdb, Brian Keene's Homepage, and director Paul Campion's MySpace page. Whether this movie will actually see the light of day is still up in the air.